The Cost of Format Change | The Next Thinc. 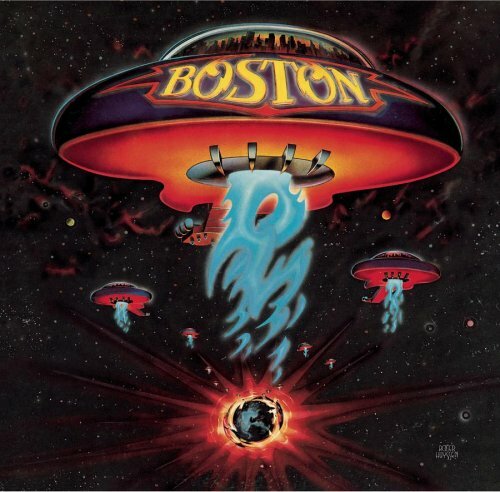 Remember learning that the spaceships on the first Boston album were actually intergalactic guitars? Did you ever spend hours staring at Shusei Nagaoka and Ria Lewerke’s cover art for ELO’s Out of the Blue double album? Dig It Man, They're GUITARS! CD’s lack the visual impact of vinyl LP covers. And mp3’s lack any visual impact at all. Musically, these format changes have made the music experience far more convenient, but we’ve lost the visual entirely. Which as the vinyl set might say, is a bummer. It’s also why the whole mobile computing revolution leaves me deeply ambivalent. Yes, the iPhone is an amazing device (though ATT makes it a lousy phone), but the more time I spend staring at it’s bright though diminutive screen, the more I realize aging’s effect on my eyes. There is only so much information I want presented to me on a 2″x3″ screen because it’s hard to read. Think about it: most mobile screens are smaller than a business card. So the mobile revolution scores major points for convenience, but as a longterm platform or even a replacement for larger screens? I don’t think so. That makes as much sense as giving up your grocery store to shop exclusively at 7-11. ← After This Reset, What’s Ahead for Advertising? And reading Collective Thinking everyday on my iPhone has taken 20 years off my eyesight! As for your complaints about AT&T, perhaps you should consider switching to CricKet Wireless and getting the new touchscreen Moto Evoke at a $100 savings (after mail-in reward card).